In this month’s installment on The Business-Savvy Engineer, I tackle Domain 7 of the Engineering Management Body of Knowledge (EMBoK): Marketing and Sales Management in Engineering Organizations. For many, marketing and sales seems like it would be far outside the scope of what an engineer would care about – even an engineering manager. However, that’s not really the case. Engineers everywhere are involved in activities traditionally reserved for marketing and sales people. Figuring out how to meet a customer’s needs, helping convince a prospective customer to choose a product or service, and developing spec sheets for a conference are all marketing and sales activities that engineers are routinely involved in. When you consider the link between engineers, customers, and the development of winning products, it’s easy to see how knowledge of marketing and sales could be of significant benefit to engineering managers. The rest of this post will touch on some of the most important elements from Domain 7 in the EMBoK. Sales is the act of motivating a potential customer to make a decision to purchase a product or service. Advertising is communicating to a target audience in an effort to make that audience aware of products and services that exist. Both advertising and sales are critical to helping get the products and services that engineers create into the hands of the right people. It’s important to understand that, when advertising and selling internationally, differences in culture and language need to be taken into account in order to be successful. One example of this was shared by Blackberry co-founder, Mike Lazaridis, at an engineering conference I went to while in engineering school. He shared with the audience that they had hired a marketing firm to help them come up with the name “Blackberry” to ensure it translated well in several languages and wouldn’t be awkward in other cultures. The name Blackberry was the last of over 100 names that the company had come up with. Contrast this with the Chevy “Nova”, which roughly translated to the Chevy “No Go” in Latin American markets. Customer satisfaction is important for any organization to measure and manage. Engineering managers are not exempt from this. Customers are well-informed, intelligent, and able to chose different providers if they aren’t satisfied with your products or services. This counts as much for internal customers as it does for external customers. I’ve experienced situations where my company paid external service providers to do work that an internal division were capable of because the internal division was too difficult to deal with. This is a clear example of poor customer satisfaction. In order to improve customer satisfaction, it must first be measured. Traditional techniques for measuring customer satisfaction include surveys, focus groups, and interviews (see ASEM’s current membership survey here). It is very important to design these tools carefully, as poor design can obfuscate results, and even lead to drawing incorrect conclusions. Managers may consider hiring outside experts for launching new customer satisfaction initiatives. Engineers play a key role in developing an organization’s products and services, establishing cost structures (which informs price), setting up distribution channels, and developing product specifications and trade show materials. Branding is about giving products an identity that acts as shorthand for the attributes of a given product. BMW’s brand stands for luxury and performance. Walmart’s brand stands for value and convenience. Both brands say very different things, but are equally powerful. Engineers play an important role in giving brands credibility through their design decisions. Products progress through lifecycles. After a product is launched, it will process through a period of growth, reach maturity, hit market saturation, and eventually decline. It is important for organizations to have an array of products at various phases in their lifecycles so that the risk of a product falling out of favour in the market and leaving the company stranded is reduced. Understanding where products fall on the Boston Matrix can help organizations understand what to do with each product in their portfolio and where to invest product development dollars. With globalization, companies in every industry will be faced with at least one of the following: competition from abroad, needing to source materials or talent from abroad, or trying to enter overseas markets. As was discussed in the section on advertising in foreign markets, it is important to bear in mind that values and management practices differ throughout the world. Managers cannot assume that business as usual will work in any other market. Given that operating in markets outside your home can necessitate different practices, it is important to be aware of the various options that are available for doing business abroad. Domestic companies can import or export goods, invest directly in foreign entities, license their products or services to others, set up franchises, or use management contracts to profit from outside markets. A product’s price is what the customer pays for a given product. Pricing is something of an art and must take into account the customer’s ability to pay, the organization’s goals and targets, the product’s cost, and how the competition prices alternative products. Pricing should not be driven by cost alone and needs to reflect the value conferred by the product. For example, books generally cost pennies to produce, but are priced orders of magnitude higher. This is because they provide much more value than the sum of their physical parts. Engineers can be heavily involved in product pricing, especially with respect to controlling product costs and understanding how competitors’ products are positioned. At first glance, this domain may seem out of place in an engineering management book. In reality, marketing and sales management is tightly coupled with engineering and engineering management. An understanding of the business side of product development, marketing, advertising and sales on the part of engineering managers can be of enormous benefit to both managers and the companies that employ them. The Creator’s Code by Amy Wilkinson. Simon & Schuster Paperbacks: New York (2015). 228 pages. US$9.98 (paperback). Most of us have great ideas that we think could turn into great businesses. Just the other day, for instance, I told the blood donation attendant about my great idea to have a manicurist perform her magic during the procedure. Of course, there are some obvious holes in my “great idea”. Yet, other people can convert ideas into business success. How do they do this and is there a formula for entrepreneurs? 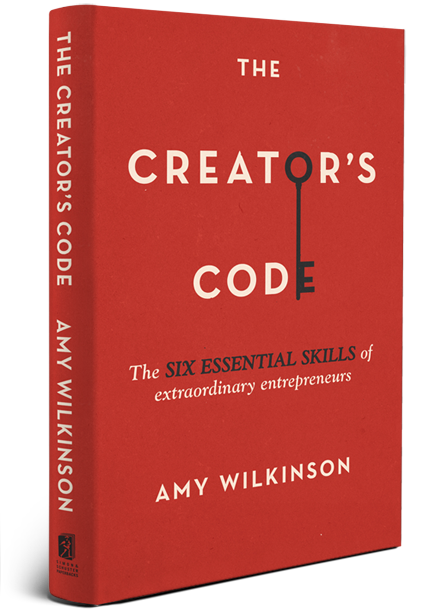 Amy Wilkinson, author of “The Creator’s Code,” says, “YES!” And she shows us six essential skills in her book. The text is based on interviews with over 200 entrepreneurs who started companies that generate greater than $100M in revenue each year (pg. 9). These include companies like Under Armour, Airbnb, Dropbox, Chipotle, and JetBlue. The first step is to identify an opportunity that others don’t see. Sounds easier said than done, but the author explains that some people are able to transport solutions from one industry to another. For example, Howard Schultz didn’t invent the idea of a coffee bar. Instead, he saw a unique culture in Italy and transported the community of coffee into the Starbuck’s business model. Next, successful entrepreneurs seek the future over the past. Wilkinson calls this “to-go” thinking over “to-date” thinking. Research shows that considering what you have left to do to complete a task enhances motivation (pg. 58-59). Retrospective thinking can make us lazy. The third skill in “The Creator’s Code” is to “fly the OODA loop” (Chapter 3). The acronym OODA comes from a Korean War era Air Force pilot: observe, orient, decide, and act. Success entrepreneurs gather a lot of data (observe), interpret the data (orient), make quick choices (decide), and then implement a plan (act). Feedback from markets, customers, and experiments go back into the cycle as observations to continue learning. Next, successful entrepreneurs use opportunity identification and learning from failure to build cognitive diversity. Wilkinson calls this “networking minds” (Chapter 5). As design thinking teaches us, we cannot solve problems in isolation. Collaboration and feedback help us to generate the best solutions (pg. 141). Finally, the sixth element of “The Creator’s Code” is to “Gift Small Goods” (Chapter 6). In short, the author explains that collaboration, networking, and doing favors for others pays back. The author relays the Christmas card study by Phillip Kunz at BYU. He hand-signed 600 cards and sent them to absolute strangers. He received over 100 return greetings, complete with well wishes for his family, photos of kids and pets, and hand-written message. People appreciate acts of kindness and will repay them. So, the six elements of becoming a successful creator and entrepreneur are more about behaviors than technical skills. Wilkinson teaches us that we need to identify unsatisfied customer needs, to try and try again, learn from failure, and collaborate with others. How do we apply these skills as engineering managers inside corporations instead of acting as solo entrepreneurs? I believe “The Creator’s Code” gives engineering managers tools to enhance and empower teams. 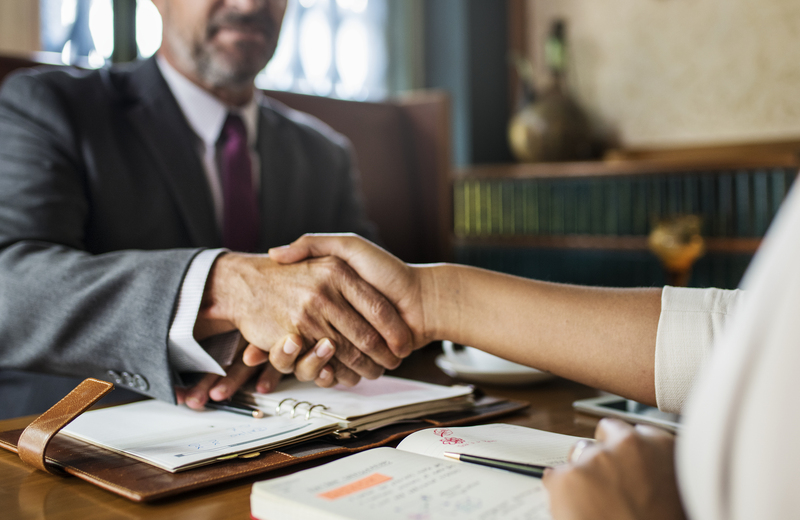 Corporate product and project management also depends on finding gaps in markets and technologies that match the core competencies of the firm. Success as engineering managers also requires us to “fly the OODA loop,” to fail wisely, and to network minds. Recognizing the strength of those around us and building an entrepreneurial environment can also build success for our engineering and project teams. I recommend “The Creator’s Code” for engineering and engineering manager who are curious about curiosity and want to understand the traits of successful creators. The stories that Wilkinson presents are intriguing. It’s a quick and easy read – maybe a book suitable for scanning while you lay on the beach this summer! What skill can you transport from the entrepreneurial world to make your engineering project teams more successful? It has been a beef of mine that many management studies look at successful companies and try to figure out best practice based on what these top performers do. If you hear that (hypothetically) 75% of successful companies have a matrix organization and 25% have a hierarchical structure, you may think a matrix is for you. However, it is difficult to get a lot of data on the companies that struggle whereas they like to advertise success. With my example, if you hear that 95% of the poor performers have a matrix versus 5% hierarchical, that provides a different picture. 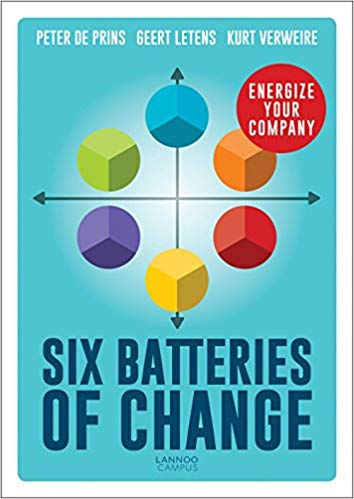 I like that the authors of Six Batteries of Change have extensive experience consulting on change management programs. Geert Letens is familiar to many readers as a former president of the American Society of Engineering Management and I like his practical and critical perspective of EM principles. This book is based on data collected from participants at 111 companies. Two people at the same company can have differing opinions on its performance and culture that makes you wonder if they are confused about where they work. This book recognizes this and therefore multiple sources at each organization were used. They also recognize the different perspectives (or realities) of workers on the floor versus the planners in the “ivory tower.” By having these multiple inputs and a diverse range of sizes and business types they draw from, we are presented with a nice spectrum of traits of those that are successful and those that struggle with transforming their business. During my career, six particular companies stand out that would have benefited from this book. All six could see that they needed to change or fail. Three talked about “burning platforms” but continued on their downward trajectory and closed shop. The other three initiated formal cultural change programs but these fizzled out prior to them closing for business. Unlike much of the literature I have read, this book generally agrees with my views on organizational culture and change. I was in a meeting recently with directors who were reviewing a new program. As mentioned in this book, executives are busy and do not want to be bombarded with too many concepts. The key to getting buy-in is to have a few fairly simple points and to repeat them in a variety of ways, driving home the message. For implementing change successfully, the authors developed a concept of relating behavioral characteristics to energy levels in a battery. These are put in a grid with one axis for the often competing motivations in people: the emotional and the rational. The other axis separates the strategic policies needed to create proper alignment from the operational procedures to assure solid execution at the ground level. As was recognized at least as far back as the Hawthorne Experiments of the late 1920s, good ideas can fail if improperly implemented and yet irrational, counterintuitive plans can have positive results if rolled out in the right way to appeal to the workers. Hence, we are presented with a framework of six categories of batteries (or energy levels) that will lead you to greater chance of success when these batteries are properly topped up. The book provides examples of both good and poorly charged batteries in companies familiar to many readers, such as Yahoo, Nokia and ING. It provides symptoms of good and poor cultures and steps for charging the batteries in areas that are low, establishing an architecture for positive change. I started out by reading Chapter 9 first as check for the book’s usefulness as a quick reference or as a refresher. I was able to follow the concepts easily without having to rely upon any complicated or specialized vocabulary built in the earlier chapters. I liked that there was a definite lack of prescriptions for success, since the authors recognize that organizations are now in a world that is VUCA - volatile, uncertain, complex, and ambiguous. They also recognize that change is not achievable through the actions of a small group and it must be driven throughout the organization. I have painfully watched my former employers bring on a small group of experts tasked with somehow fixing the organization’s ills under a two-month contract, which goes a long way to explaining why they are former employers. Many people who will read this will be somehow connected to a cultural transition program within their organization. Using this book to help guide the process will be a smart move. Dr. Kennedy has been a regular attendee of the ASEM conference since 1999, with particularly good participation at the informal late evening "discussions" (sometimes making it difficult to get to the morning plenaries). 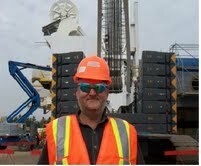 He has spent much of his time working on large construction projects in remote areas, lecturing at a few universities, and is now trying his hand in an unfamiliar role as a director of engineering in R&D. 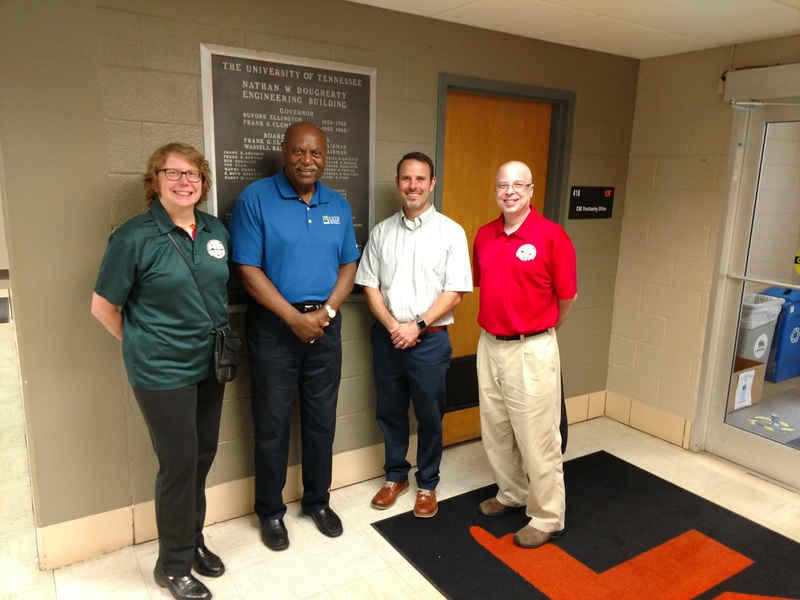 The Knoxville stop on the ASEM Summer Promotion Tour was initiated by an invitation from the local chapter of the American Institute of Chemical Engineers (AIChE). Mark Swietoniewski invited me to participate in a collaboration effort with ASEM over the next academic year. Trish Simo Kush (ASEM Communications and Associate Executive Director) and ASEM Fellow Dr. Harold Conner attended the August meeting open to an exciting exchange of ideas. The discussions were productive and many ideas were covered. One of the valuable aspects of ASEM is the network of professional and academic members. We left the meeting contemplating how we could grow all our visions; thank you for your invitation! 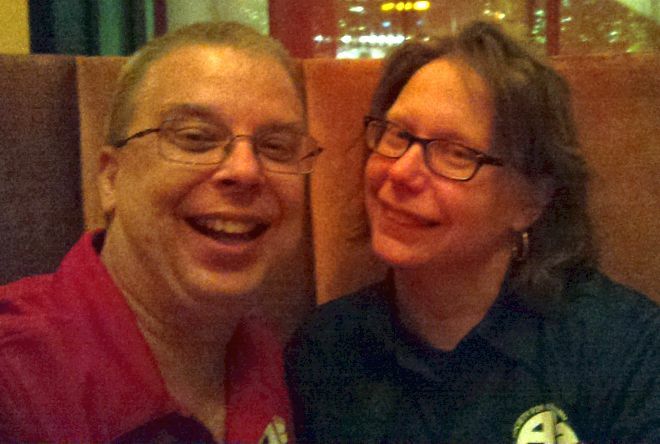 The next day Trish and I visited ASEM member Rod Grubb at the 4M headquarters http://4mio.com/. Rod played a number of valuable roles with ASEM in the past and we wanted to drop in on him while we were in Knoxville. During the tour of the facilities, Rod was clearly proud in the success of his company and the fascinating developments in the future for carbon fiber. Afterwards, we were introduced to Rob Klawonn and Mike Agentis who were also excited about the advances. Each conversation circled back to engineering management and networking. Over the two-day visit, Dr. Conner and Rita Gray coordinated visits for us on the beautiful campus of the University of Tennessee. We visited with Dr. Eric Boder, Dr. Gabriel Goenaga and Dr. John Kobza to discuss the value of ASEM to their students as they [the students] move into a future management role. With many students attending through distance courses, a conversation in developing a virtual student chapter was a focus. Dr. James Simonton also helped to develop a vision statement to guide the next steps. It will be exciting to see the University of Tennessee as part of the ASEM family. Dr. Harold Conner was instrumental in putting all the parts together to make the trip a success. It was evident by our conversations that Dr. Conner has strong beliefs in engineering management and he appreciates the role that networking plays throughout the career of an engineering manager. This was demonstrated through his connections with multiple professional societies and with the University of Tennessee. ASEM thanks Dr. Conner for his support as a sponsor. It’s great to see Dr. Conner continue his support by bringing a student to the ASEM IAC to experience conferences and to build their network. This year, Dr. Conner is bringing Jake Beatty (bio below). Jake Beatty, from Clarksville, Tenn., is in his senior year as an industrial engineering major at the University of Tennessee-Knoxville (UT). He is also working toward a minor in reliability and maintainability. 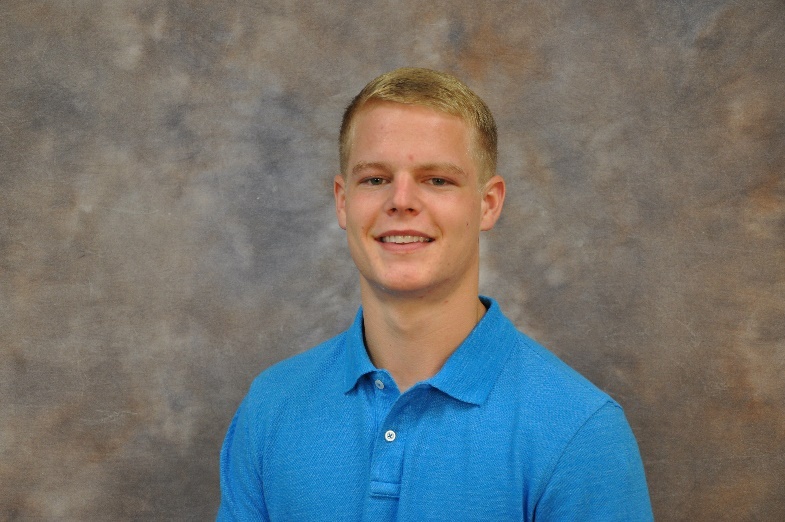 He served a 2018 summer internship at URS | CH2M Oak Ridge LLC (UCOR) supporting UCOR’s LEAN program. That support included working to consolidate eight different waste software programs into one. Jake is a member of the Knoxville Chapter of Institute of Industrial and Systems Engineers and has participated in 20 hours of volunteer work each semester at UT. I am currently in the market for a new car. One of the first characteristics that I can list is that I want the vehicle to be of high quality. But, what, exactly, does “quality” mean? Domain 6 of the Engineering Management Body of Knowledge (EMBOK, 4th edition) teaches us about quality as well as operations and supply chain management. As noted in the EMBOK (pg. 165), quality is “defined for each product based on what the customer wants in … measurable characteristics.” Certainly, this definition helps as I want my car to have at least 200 hp, not cost over $40,000, and be reliable for a lifetime of ten years. Rather than getting a sales pitch from a car dealer, they can instead show me new models that have specifications matching my desired quality characteristics. The foundations of quality management in US, Canadian, and Western European industries started with the automotive industry. But, the principles of quality date further back to WWII when General Douglas MacArthur sought good radios in Japan. Influential quality gurus like W. Edwards Deming, Joseph Juran, Phillip Crosby, and Kaoru Ishikawa not only helped MacArthur in his quest for good radios, but also spawned the total quality movement. The Toyota Production System (TPS) is known for yielding high quality, low variability parts and a novel approach to manufacturing (which we now call “lean”). The quality gurus shared a common belief that management must actively participate in quality improvement and that systems and data drive performance improvements. Ishikawa delineated a list of data-driven tools for engineers and managers to improve quality. These are shown in Table 6‑4 of the EMBOK (pg. 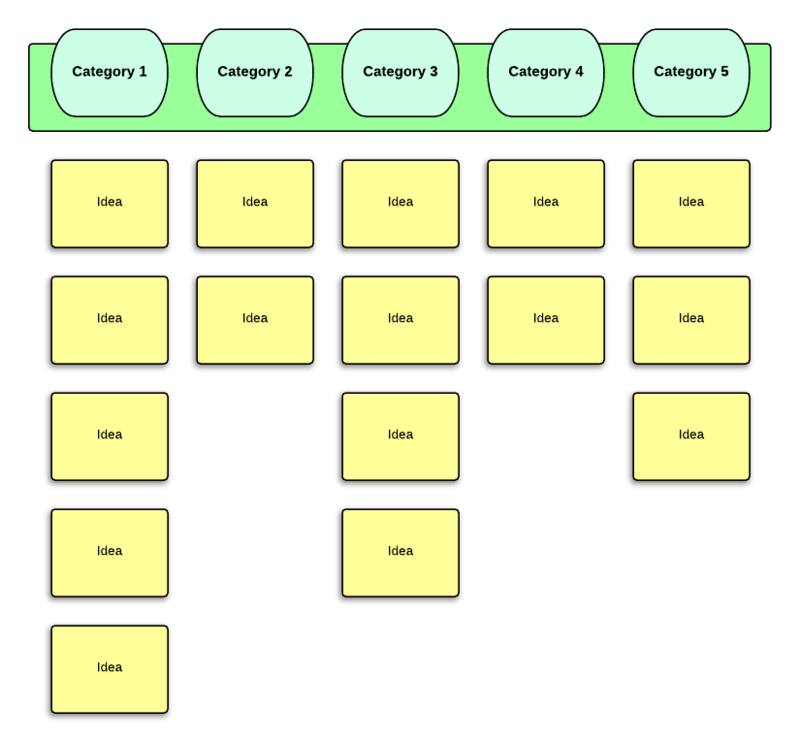 168) and include the affinity diagram and the prioritization matrix. R&D engineers will be familiar with these tools as project managers are also intimately familiar with the activity network diagram. Quality in organizations today is supported by international standards, such as ISO 9001 and ANSI. 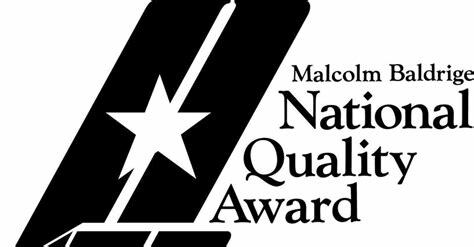 In the US, the Malcolm-Baldrige Award is presented by the President to organizations that have demonstrated commitment and improvement through total quality management (TQM). Of course, quality is more than a measure of the final product. Process improvements to drive and support quality are a key task for engineers and engineering managers. 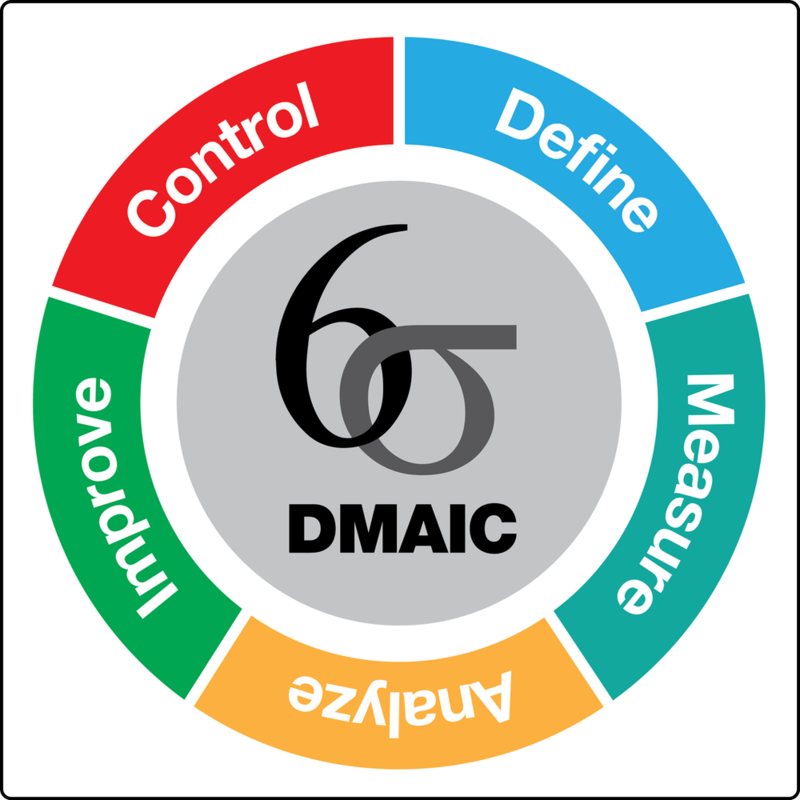 Systems like lean manufacturing and Six Sigma encourage continuous improvement by eliminating waste and minimizing variation. Section 6.2 of the EMBOK compares and contrasts the principles of lean with Six Sigma improvement projects. An important concept in lean is “flow,” especially for batch operations. Tools in lean help to reduce wasted time as a machine or downstream customer waits for work. The Kanban board is a visual tracking tool to show planned work, work-in-progress, products undergoing testing, and complete work. New work does not enter the “flow” until the Kanban board shows capacity of the work team to accept new work. Of course, quality and operations management are not standalone functions. Operations must support product manufacturing and involves creating sales forecasts and inventory management. For example, production of one new car (Volvo XC40) is unable to meet customer demand because of underestimated sales forecasts, resulting in a waiting period to even test-drive the vehicle and an even longer waiting period for purchase. 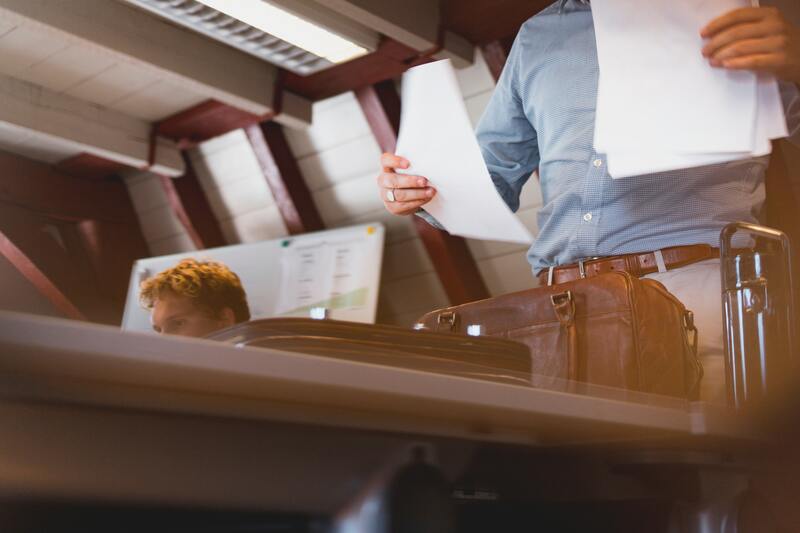 Engineering managers use a variety of forecasting, scheduling, and inventory management tools to avoid these situations. (Supply chain management is discussed in detail in Section 6.6 of the EMBOK). While not all engineers and engineering managers work directly in quality assurance (QA) or quality control (QC) labs or even in operations or supply chain, each of us must be fully committed to quality management. As Domain 6 of the EMBOK points out, engineering managers influence and impact quality from the concepts of new product development through ongoing continuous improvement activities. We must remember at all times that it is our customer and our customer’s customer who define quality. What activities are you doing today in your job as an engineer or engineering manger to improve quality in your organization? Bronco Bash: This is an event that takes place first week of September each year and 150+ RSOs have a booth to get people interested in joining an RSO. This is a fun way for RSOs to interact with students new to the university. This was the second time that the WMU chapter of ASEM took part in this and it was great talking to freshmen about what ASEM is and what our major is. ASEM Conference: The annual conference in Alabama was a great experience for those that went to it. We got a chance to interact with professionals from industry working the job what we might have one day. 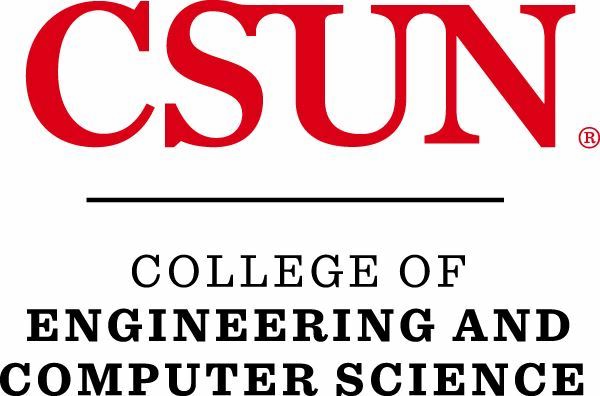 We were able to get nine students to the conference through the use of a fund set aside for ASEM by our Advisor, Dr. David Lyth, and through the funding from our Dean, Dr. Houssam Toutanji. 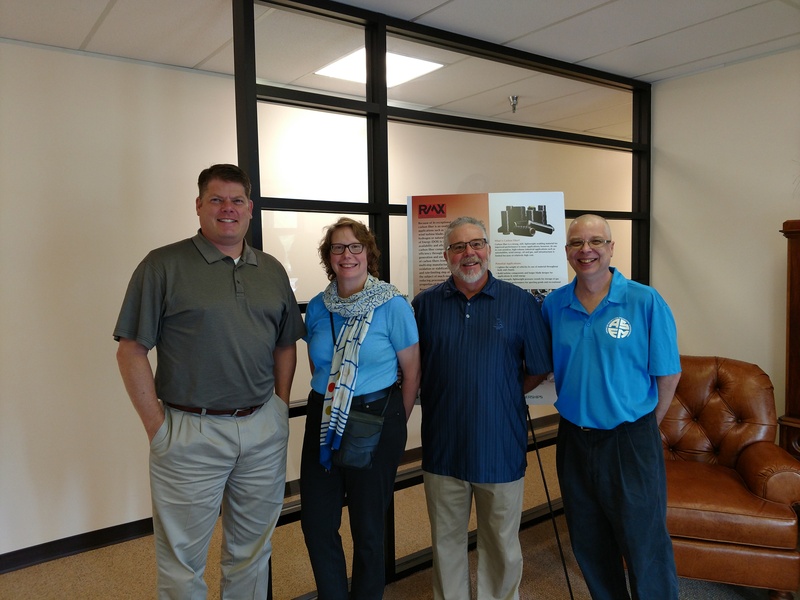 JR Automation: Our first tour was to JR Automation, manufacturer of custom automation equipment, which included talking to the management team there and a tour of their plant. 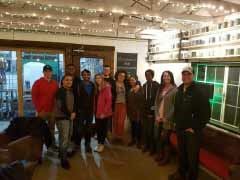 Green Door Distilling Co: This was our second tour and a unique one. This is a distilling company was founded by an alumnus from the WMU Engineering Management master’s program. The tour showed our students in the program how Jon, founder of Green Door, was able to apply all that he learn from school and start his own company. Bells Brewery: The third tour we took was to Bells Brewery right here in our back yard. We were able to see the entire process of how their products are made, from grains to the bottling line. We were also able to taste their product. Stryker: Our last tour was at Stryker Instruments and for this tour we are planning to see operations that take place there. The tour was set up through an alumnus from the engineering management technology program at WMU that works at Stryker. This tour gave us insights on how a Fortune 500 company carries out its operations. Blaze Pizza: This was our first fundraiser of the semester and we got in contact with Blaze Pizza for setting up this fundraiser. It was delicious! We may potentially do it again in the future. Cookie Sale: For our second fundraiser we got a donation of cookies and we baked them and had a bake sale. This was something new that we tried whereas in the past we had contacted a local business and had a fundraiser there. This was an idea that would be good to use again in the future. 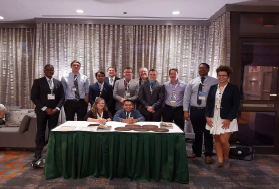 This year, the WMU ASEM Student Chapter will continue to connect students to industries where they might work. The plan is to reach out to the underclass students and have them get involved. Participating in the Bronco Bash provides good exposure for the chapter. Along with that, students will be presenting papers at the ASEM conference, and a case study team is currently being organized. After the IAC, students hope to participate in an improvement project with YWCA in Kalamazoo. Lastly, the students strive to partner with other engineering RSOs both in fundraising, and activities. Bernard R. Sarchet Award: Considered to be the highest award given by ASEM. This award recognizes contributions to the Society and to the field of engineering management and is annually given to an ASEM member who has contributed the most to the Society on a local, national and/or international basis. Frank Woodbury Special Service Award: Recognizes an ASEM member who has provided outstanding service to the Society. This award is given annually to an active ASEM member who has demonstrated proof of continued service excellence to ASEM. For more information about this award, and all of ASEM's Society Awards, please visit: https://asem.org/Society-Awards or contact asem-hq@asem.org. Every day, I hear reports on the radio and television of stock market reports, the Dow Jones level, and of actions taken by the Federal Reserve (the central bank in the United States). Often, I ignore these reports, hoping the announcer will just get on with the scores of my favorite local sports team. However, all these economic measures impact my pocketbook in significant ways, like affecting the purchasing power of a dollar and in influencing a decision of when to buy a house, go back to school, or retire. Economic and financial theory and practice are covered in the Engineering Management Body of Knowledge (EMBOK), Domain 4: Financial Resource Management. This domain covers the typical financial data and information engineering managers should understand. Moreover, much of the content in Domain 4 actually bridges the gap between engineering and management. Senior executives typically make decisions based on money more than how cool the science is. All engineers should be exposed to the basics of bookkeeping and accounting. The most typical system of bookkeeping is a “double-entry” in which debits (left-hand side of a worksheet) must be in balance with credits (the right-hand side of the worksheet). For chemical engineers, this is much like a material balance for money. (Please see “Talking to Your Bo$$” at AIChE’s ChEnected website). Thus, for every transaction, the debits and credits must remain in balance. If we spend $1 to acquire a pencil, we would credit, or subtract from, the cash account while we debit, or add to, our materials account. Debits and credits stay in balance always. Financial people will prepare reports called balance sheets on a periodic basis to demonstrate that assets are in balance with liabilities and owner’s equity. Owner’s equity is the value held in a company after all the liabilities have been paid off. If we had $2 cash and only spent $1 to acquire the aforementioned pencil, we would still have $1 in savings (also known as owner’s equity). If we had $0.50 of debt to pay off first, then there would only be $0.50 of owner’s equity. Companies often make investment and stock buyback decisions based on the value of owner’s equity. Banks will examine the balance sheet in order to make loan decisions, as well. As described in Section 4.1.4 of the EMBOK (4th ed. ), profit is measured by the difference (in a given transaction) between the sales price of a good and the cost to produce and sell it. Production costs have two components: fixed costs which do not change regardless of the quantity of goods produced and variable costs that scale with production. Rent, for example, is a fixed cost because it doesn’t change regardless how many widgets are produced in a factory. Raw materials, on the other hand, are variable costs because as the number of widgets produced increases, we need more raw materials to manufacture them. Profit, then, is the difference between sales price and the cost of production (fixed and variable). On the radio and television, we also hear a lot about government agencies (national, state, and local) setting budgets. You might also have a personal budget so that your expenses don’t exceed your income. Engineering organizations also must establish annual budgets so that expenditures don’t exceed inputs. Further, the Board of Directors and CEO are tasked with maintaining the long-term financial health of the company. The most common way for a business to set a budget is zero-based budgeting. In the zero-based budgeting method, we build expected revenues (inputs) and costs (expenses) from a blank sheet of paper each year. In this way, the management team (or family) will examine the validity of each expense and the assumptions leading to revenue generation. (Note that the US Congress does not use zero-based budgeting and generally assumes an added percentage to each budget item in each year, tending toward less examination of each line item.) Budgets are designed to help engineering managers invest in appropriate growth projects while maintaining profitability in existing operations. As a part of any budget process, we must assume and calculate information regarding inflation and the time value of money. In essence, the time value of money means that $1 today is worth more than $1 tomorrow. For example, in the US, the Federal Reserve has determined that a 2-3% inflation rate is ideal. Let’s call it 2.5%. This means, that next year, the $100 bill in your pocket will only have the purchasing power of $97.56. As engineering managers plan, design, and construct projects with long lead times, the time value of money becomes an important consideration. The present value of a project will be more heavily influenced by revenues and expenses that happen in the near-term. When cash flows are further into the future, the impact to present value will be lessened.. Similarly, foreign exchange rates for international projects and income tax rates can both influence the profitability of a capital project. Engineering managers must be fluent in both the science and the economics of projects they are involved in.. Successful engineering managers can bridge the gap between the technical and the financial fields. Some engineers pursue expensive MBAs to learn about finance and economics. However, ASEM members are presented with a mini-MBA in Domain 4 of the EMBOK, building on the information presented earlier on Strategy (Domain 3, http://asem.org/blog/6133262) and Management Theory (Domain 2, http://asem.org/blog/6004937. To be successful, engineers must learn to speak “accounting” to gain support for projects and programs. CPEM and CAEM (http://asem.org/EM-Professional-Cert-Program) certification requires that an engineering manager be familiar with basic accounting so that s/he is skilled in the financial nuances of any engineering decision. After all, companies are in business to make money. 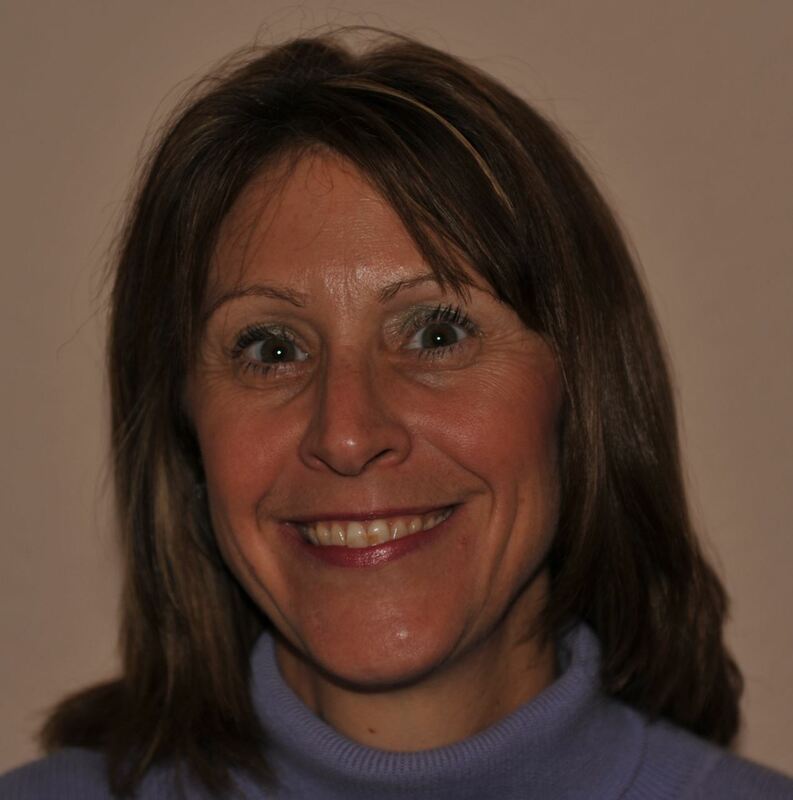 Teresa Jurgens-Kowal, PE, CPEM, PMP®, NPDP, is a passionate lifelong learner. She enjoys helping individuals and companies improve their innovation programs and loves scrapbooking. You can learn more about Teresa and innovation by connecting on LinkedIn.